Saint Tropez is located on the Cote d'Azur. For centuries it remained a fishing village, attracting artists, but few tourists. This dramatically changed in 1956 when the movie,”And God Created Woman “ was shot here starring Brigitte Bardot, catapulting St Tropez into the international limelight. It is now quite simply, the most famous resort in Europe, and has been dubbed the ‘ playground to jet setters, fashion models, and millionaires ‘. 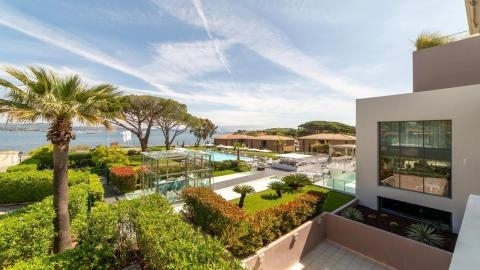 Finest Holidays has some of the most luxury villas for rent in St.Tropez and its surroundings. To the outsider St.Tropez possesses a gentle beauty. Building restrictions are stringent, and modernization and dramatic facelifts are not allowed. This ensures the resort remains quaint and authentic. However, the millionaire lifestyle is very much in evidence especially around the marina. Stroll around the many designer shops, or for top-end artwork, visit Galerie des Lices. Pampelonne beach is where the jet-set play. Enjoy water sports such as wakeboarding and scuba diving. Soak up the sun alongside the famous, and the rich. The beachfront is liberally scattered with bars and restaurants. Club 55 is one of the places to be seen, drawing celebrities from across the globe. The famous and rich anchor their yachts outside the club and have their staff motor over. In contrast, the surrounding area of St Tropez offers breathtaking scenery and beautiful countryside. Take in the beauty on horseback. Go trekking, or simply stroll along. All our luxury villas in St.Tropez are carefully hand- picked, and regularly inspected. Rent one of our high-end villas close to the centre or on one of the popular beaches, or you may wish to rent a villa in the surrounding area of St.Tropez. We have an extensive collection to choose from. Our aim is to ensure that you have everything you need for your ideal luxury summer holidays. Let our excellent concierge service take care of this. Perfection and professionalism is our constant priority.